With the 2015 fuel price drop seeing the value of the Kazakh Tenge fall from 189 to the US dollar to 380 at its worst, the nation’s flag carrier Air Astana was no longer able to rely on its domestic traffic. 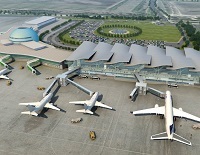 In 2011, the airline had already begun shifting focus to the “extended home market” – destinations in Central Asia, southern Russia and the Caucasus. Now its most recent endeavour is to become more of a network carrier on medium- and long-haul routes, offering east-west and north-south connections, increasingly over Astana. While growth in domestic traffic has been no more than 1% a year recently, international transfer traffic has seen significant gains. As sales and marketing director Richard Ledger explained, the carrier is setting out to become a “via” market, interested in three main traffic flows. The first is under-served regional-to-regional routes such as Tashkent – Urumqi. Ledger claims these can be operated frequently and at high density, meaning there’s a good yield per revenue passenger kilometre. The second is the connection of regional and mid-haul services – between Urumqi and Paris via Astana, for example – which again are under-served. The third passenger market Air Astana is focused on is the intercontinental, though Ledger acknowledges this is where it’s most difficult to succeed. Frequency is required, he says, but the strong presence of competitors means there will be yield implications. On the London – Astana route, Air Astana is the sole operator, announcing in June it had secured slots to start a fifth daily service on Sundays, conveniently just ahead of Expo 2017. Elsewhere this year, the carrier resumed five-times-weekly flights between Astana and Kiev, with Ledger highlighting that eastbound flights from St. Petersburg to Asia are currently underserved. The fact Air Astana is thinking more about a global network than point-to-point services is also clear from other new routes introduced this year, such as a three-a-week service between Astana and Delhi. If the carrier seems conservative when it comes to taking risks on new routes, it may be because it has a strong financial reputation at stake. After being set up with just US$17m in 2002 (US$8.5m each from shareholders Samruk-Kazyna, which owns 51%, and BAE Systems, owning 49%), Air Astana has remained profitable from its second year onward, receiving no further government subsidies. But this wariness isn’t hampering growth or success. The airline has just scooped a SkyTrax award as the best airline for Central Asia and India for the sixth consecutive year, coinciding nicely with its 15th year of operations. Air Astana is also on the list for privatisation and the IPO process is expected to start in the third quarter of 2018 with the airline listed on the Kazakhstan and London Stock Exchange. In 2016, Air Astana saw 300,000 connecting passengers. By the end of this year, it is expecting 425,000 – 475,000. A true success story is on the St Petersburg – Bangkok service, which routes via both Almaty and Astana. Last year, Air Astana served 400 passengers between the two destinations; this year it is predicting 18,000, representative of a 35% market share. To cope with these numbers, the airline announced at Farnborough last year it is set to acquire 10 Airbus A320neo long-range aircraft from Air Lease Corporation. As a further incentive to encourage transit passengers, Air Astana offers a Stopover Holidays programme by which passengers with a minimum 10hr layover can stay in a wide range of hotels in Almaty and Astana for as little as US$1. If this seems too good to be true, I had two 5min Uber rides in Almaty during my stay, and was charged less than £1 for both. 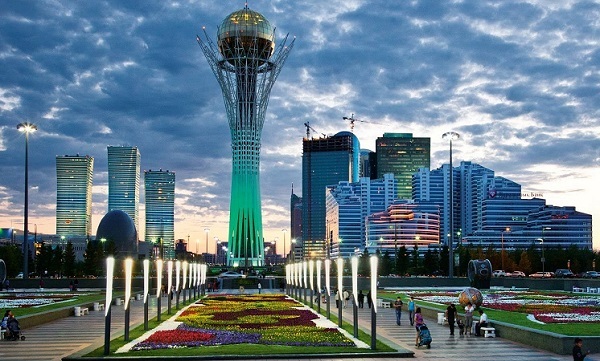 The incentive is on hold this year, as Kazakhstan is seeing a leap in international traffic due to its Expo 2017 event now taking place in Astana and lasting until September, with 115 countries exhibiting. Air Astana estimates 100,000 visitors will access the event via air travel, and has a partnership with the organisers which allows anyone who books a flight with the airline to receive a free ticket. Just in time to deal with the increased passenger numbers is the opening of the new international terminal at Astana Airport, which is capable of handling 8m passengers a year, 2.5 times the capacity of the previous terminal. Other travel companies are also offering packages including tickets to the Expo, including the national railway company. While Tourism and Development Department chief manager Daniel Serzhanuly says it’s too early to tell, he estimates Kazakhstan will earn US$1,500 per tourist throughout Expo, which is the first of its kind to take place in Central Asia. The theme of the event, which is “Future Energy”, is to show the world that while Kazakhstan is an oil and gas country, the development of a green economy is a large part of its state policy under President Nazarbayev. But bar Expo, what is there to do in Kazakhstan? Within an hour of leaving Almaty Airport, visitors can be at an altitude of 3,200m in the city ski resort of Shymbulak. The 18min cable car ride to the resort is just as worth it without the snow, offering a playground for hikers and nature-lovers. In Astana, the horizon is dotted with fantastical architecture – many buildings have been commissioned and created by British architect Norman Foster. 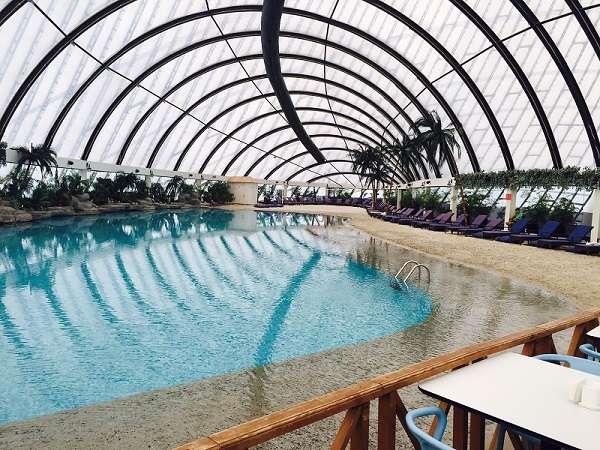 There’s something for everyone, as although Kazakhstan is the world’s largest landlocked country, an indoor beach has been created in the Khan Shatyr (“Royal Marquee”) shopping centre and entertainment venue, a Foster creation, no less, with sand flown in from the Maldives. It’s typical of the fact hospitality is an intrinsic part of Kazakh culture. Visitors to the country are sure to be well looked after wherever their interests lie.